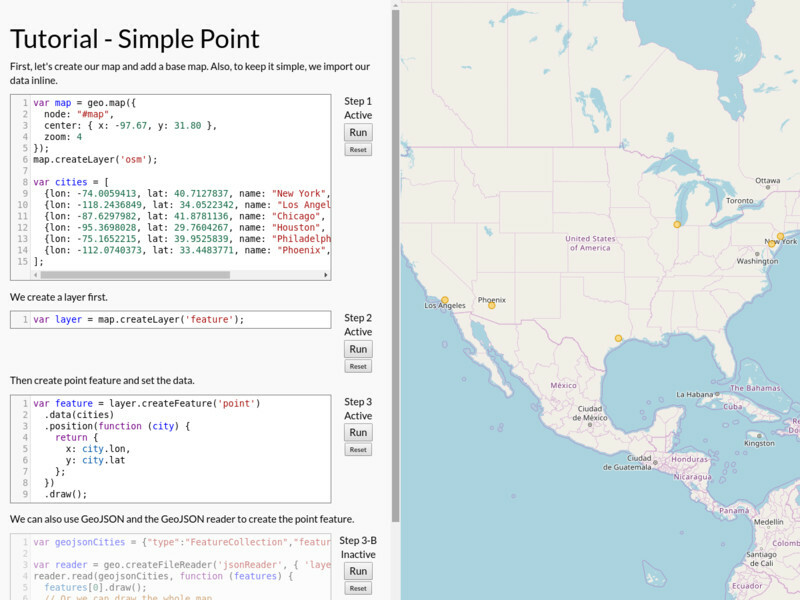 It is easy to get started with GeoJS. 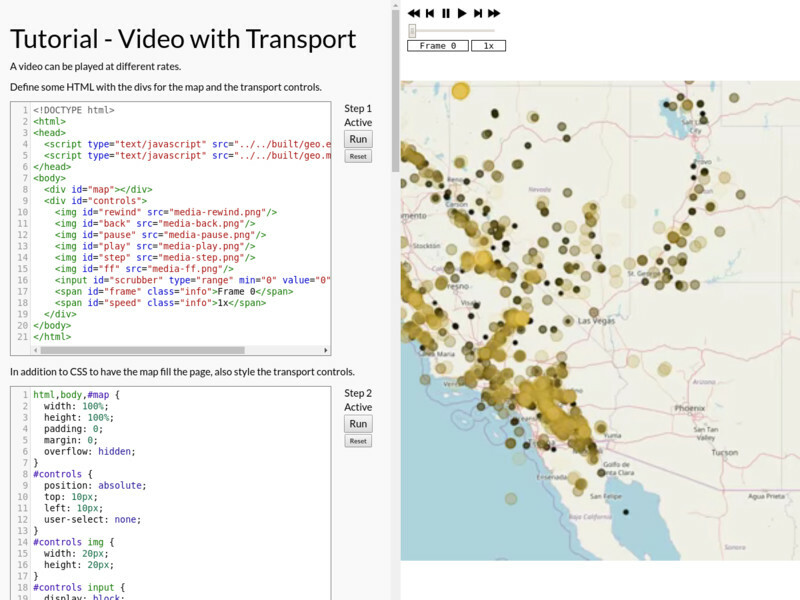 There is also an extensive API with numerous options for more sophisticated visualizations, too. See the tutorials below. 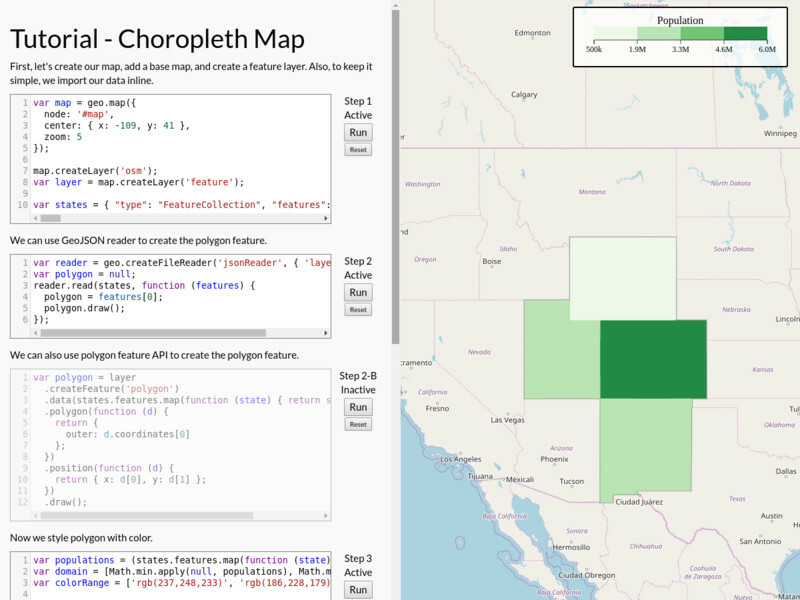 Create a choropleth map, set the colors used, and add a legend. 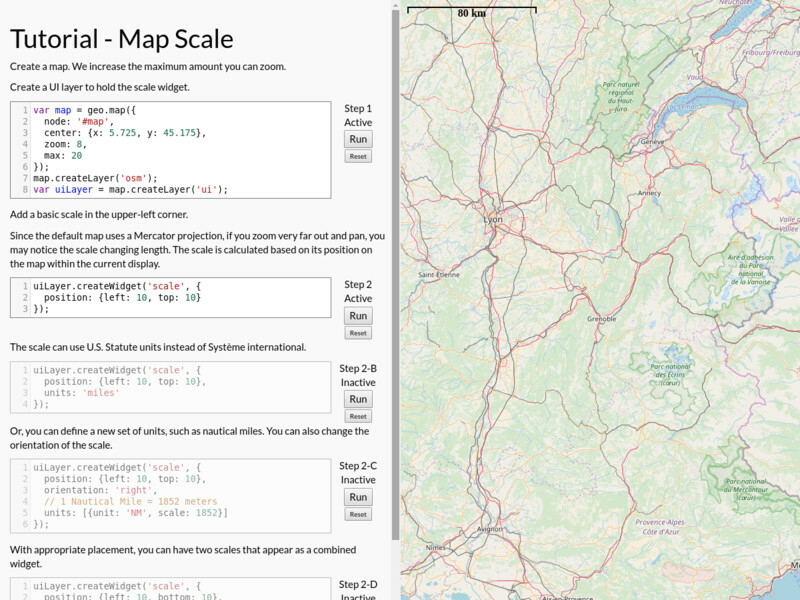 Show scale on a map using a variety of options. 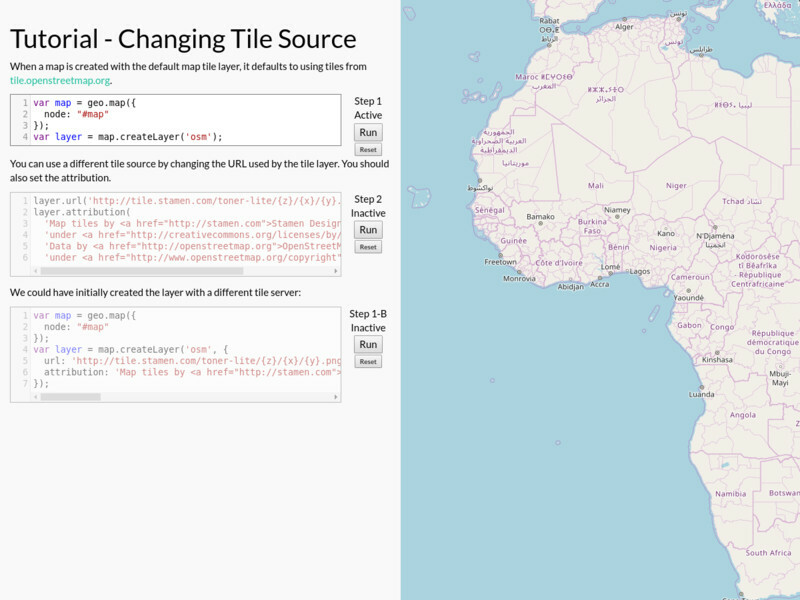 Make a simple map and change the tile source. 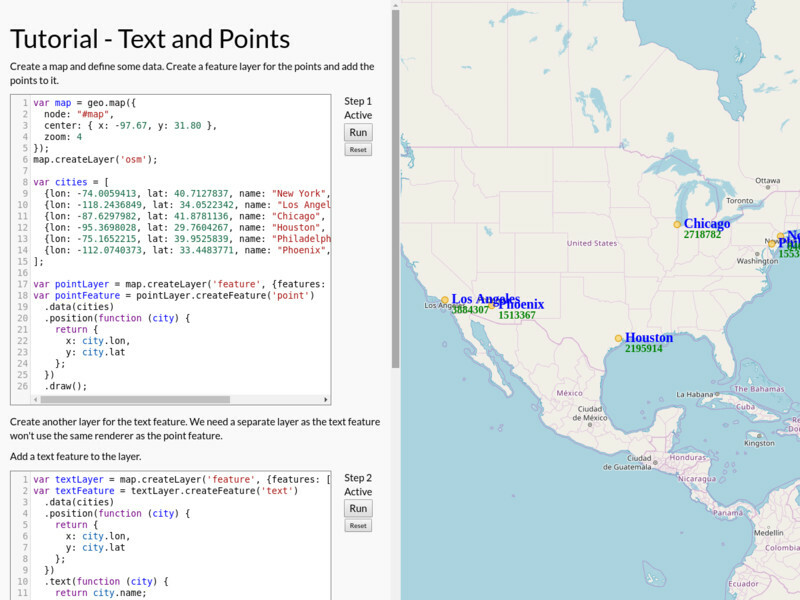 Place lines with different styles in a geospatial context. 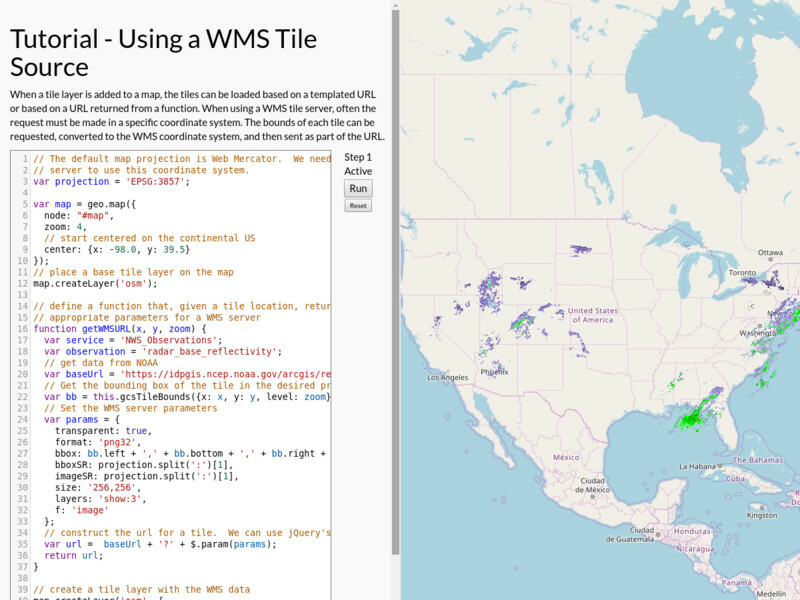 Make a map with a custom function for getting tiles from a WMS server. 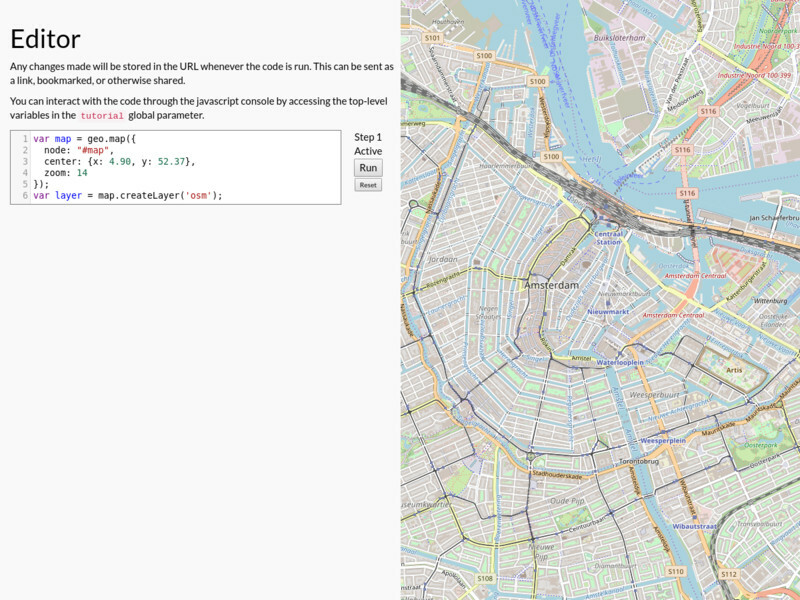 This also shows how to get tile bounds in different coordinates. 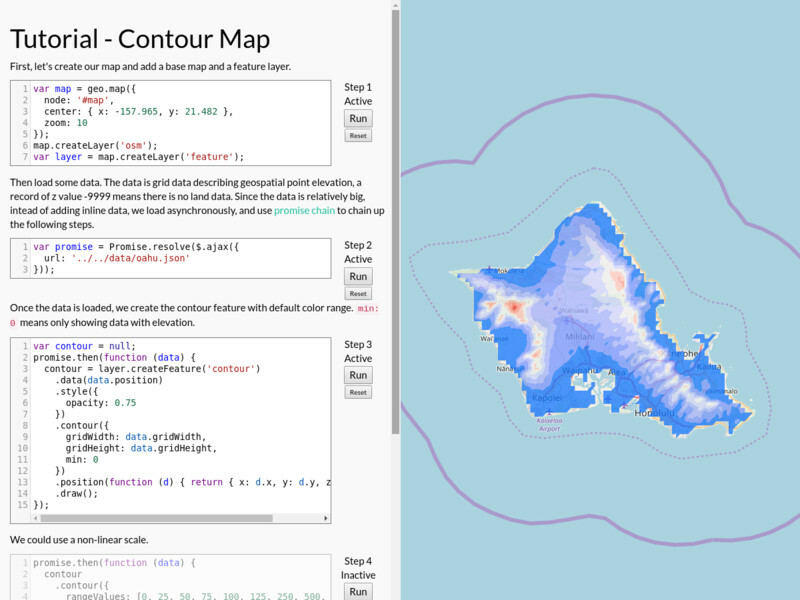 Plot grid data as a color contour. 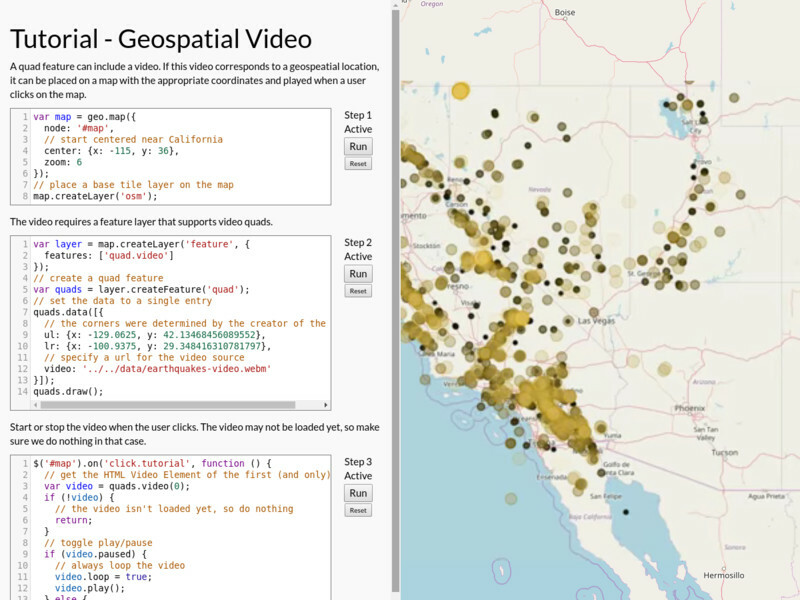 Place a video quad on a map with the correct geospatial location. This shows how to make a video quad and start it playing from a user action. 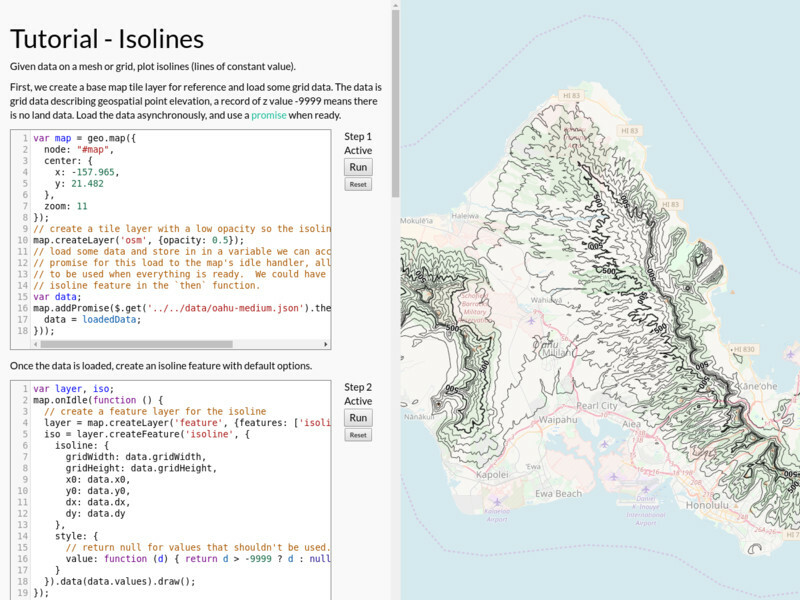 Draw isolines based on scalar grid values. 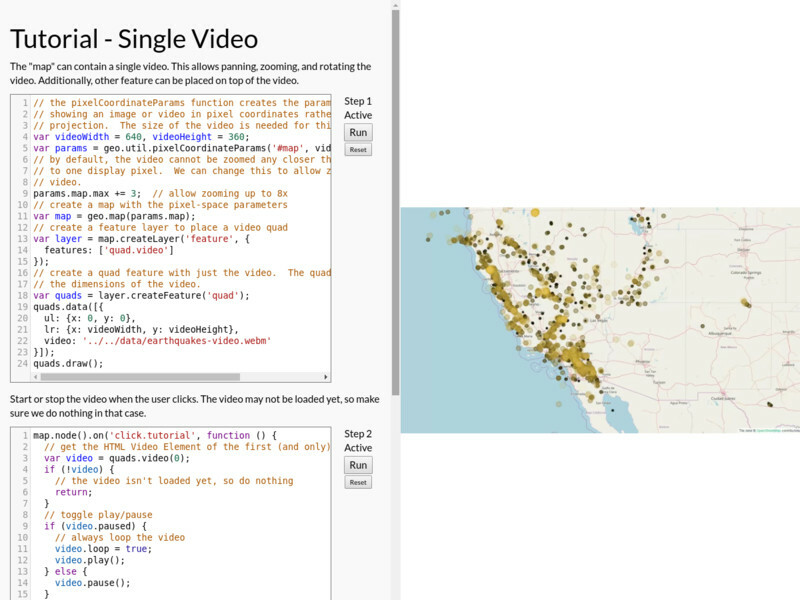 Fill the complete extent of the map with a single video. 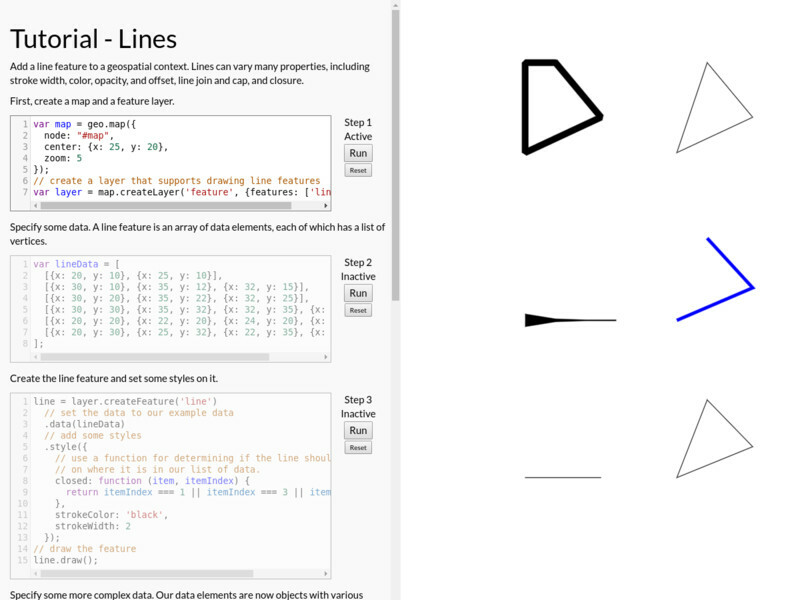 Draw a polygon on it. Show a video with controls for playback speed and frame. 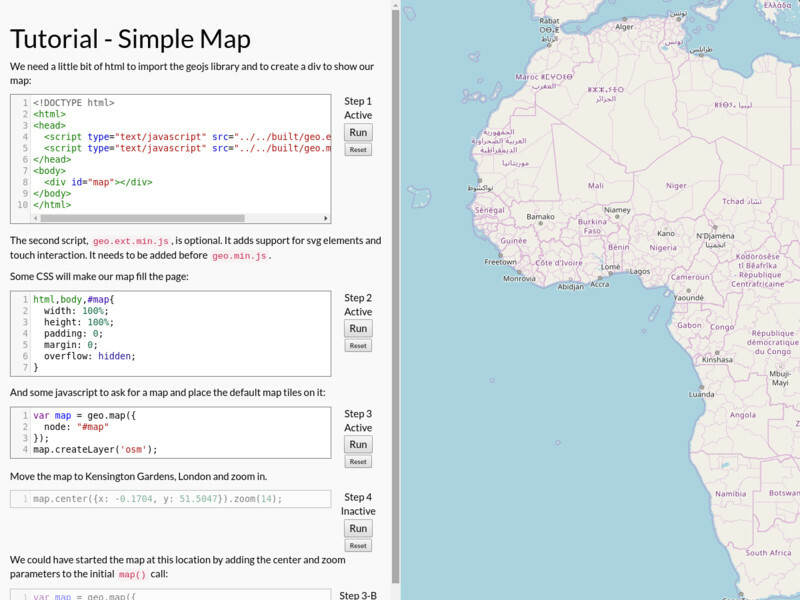 Edit and save work in URL. Edit and save work in URL. 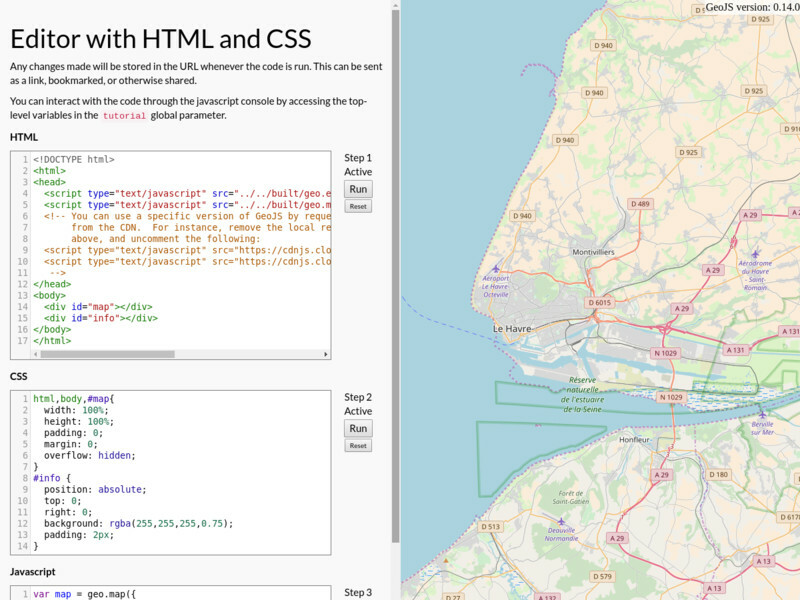 Edit the HTML to try different versions of GeoJS.